Focused on the undergraduate audience, Chemical Reaction Engineering provides students with complete coverage of the fundamentals, including in-depth coverage of chemical kinetics. By introducing heterogeneous catalysis early in the book, the text gives students the knowledge they need to solve real chemistry and industrial problems. An emphasis on problem-solving and numerical techniques ensures students learn and practice the skills they will need later on, whether for industry or graduate work. 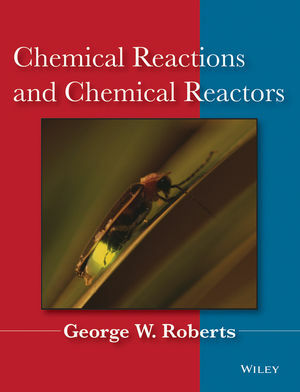 George W. Roberts is Professor of Chemical Engineering at North Carolina State University. He has also spent over 20 years in research and development with several industrial organizations in the Philadelphia area.